Let's hope this isn't a bad omen for Foursquare -- as the check-in service tries to raise a big Series D round of venture funding, two smaller startups working out of the second floor of its office at 568 Broadway have hit stumbling blocks. 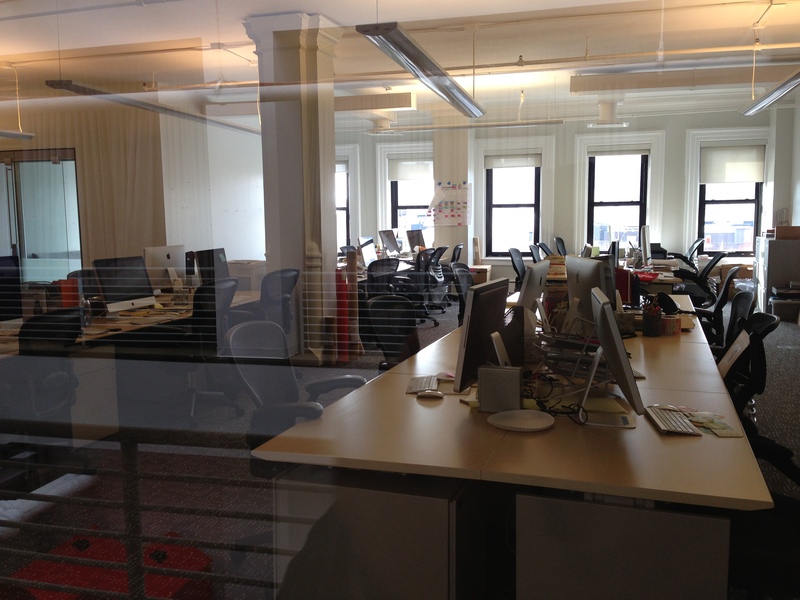 Indaba Music and 20x200 have laid off staff and vacated the office space, PandoDaily has learned. 20x200 suspended operations on its website. Indaba laid off five of its 20 staffers in a restructuring, said CEO JJ Rosen. 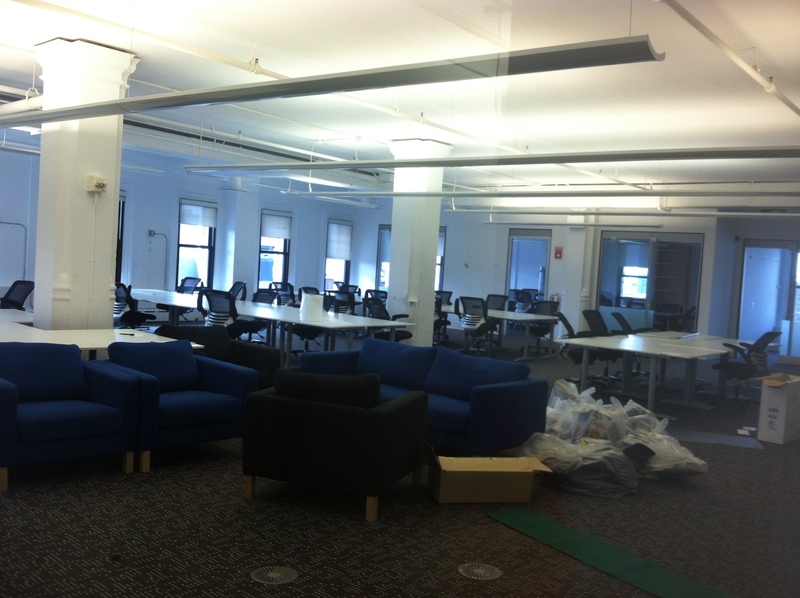 The company moved out of 568 Broadway. I'd heard that a there were issues with a potential investment from a record label but a source familiar with the situation says this is not the case. Rosen would not comment on the company's funding situation due to an NDA, he said. Indaba, founded in 2007, has taken an undisclosed investment from Queen Latifah and angel investors. The website site originally monetized on premium subscriptions to its services, but since bringing in JJ Rosen from Sony as its new CEO in 2011, has brokered deals such as this one with Getty, which aims to create ad-friendly music to license to brands. The restructuring is part of Rosen's plan to focus on this part of the business. "We were spread too thin and trying to be everythign to the independant musician," he said. "Now we have focused all our resources on building out the opportunity marketplace." The company was profitable last year and moved to a new location down the block from 568 Broadway, Rosen said. Meanwhile, 20x200's website, which sells affordable art, now directs to a landing page asking users to "Stay Tuned." On Twitter, the company has assured fans it is "not gone, just resting." Founder Jen Bekman wrote an email to its artists last night to say the company had temporarily suspended operations while it plans "the path forward." Bekman said 20x200 will regroup and staff up again shortly but will operate with just a few people for now. Sara Distin, the site's Group Director of Curation and Content, recently left. The site sold nearly 200,000 prints to 70,000 customers, and was expected to make $7 million in 2012, according to Artinfo. 20x200 raised $2.8 million in venture backing from True Ventures, Founder Collective and AOL Ventures, alongside a long list of angel investors: Caterina Fake, Zack Klein, James Joaquin, Scott Heiferman, Nion McEvoy, David Mahoney and Brendan McGovern. 20x200 is not commenting further on the situation but a source close to the company said the shut-down was a result of a disagreement over the direction of the site between Bekman, who wants to keep her focus on 20x200's community of artists, and her investors. In addition to Foursquare, 568 Broadway is home to three of New York's largest startups -- Thrillist, ZocDoc and 10Gen -- as well as a myriad of smaller startups within the Fueled Collective co-working space. Update: Readers have sent in photos of the empty offices at 20x200 (top) and Indaba (bottom).